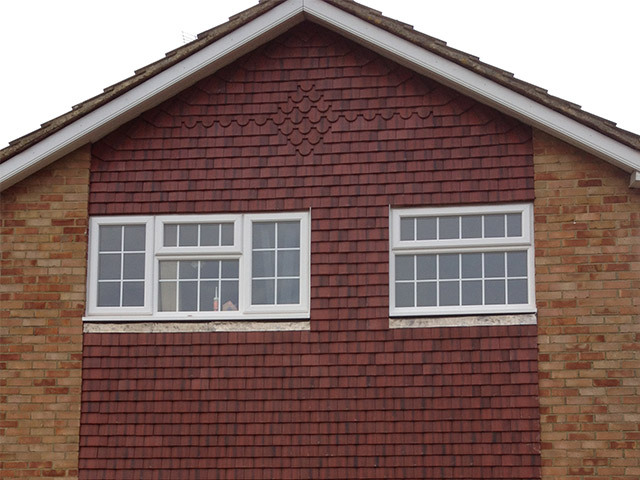 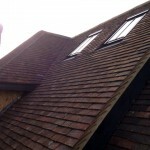 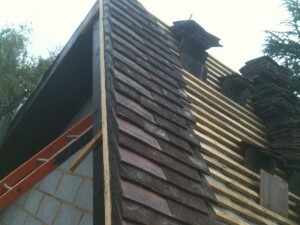 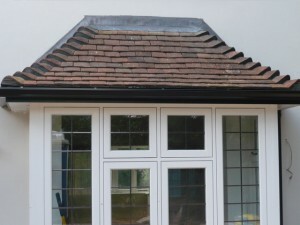 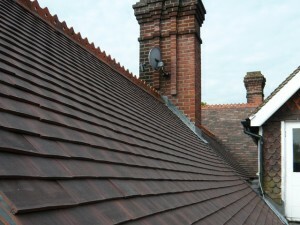 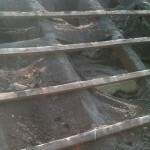 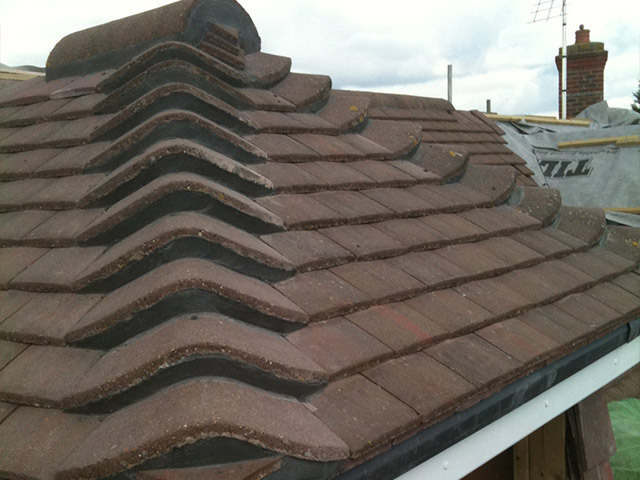 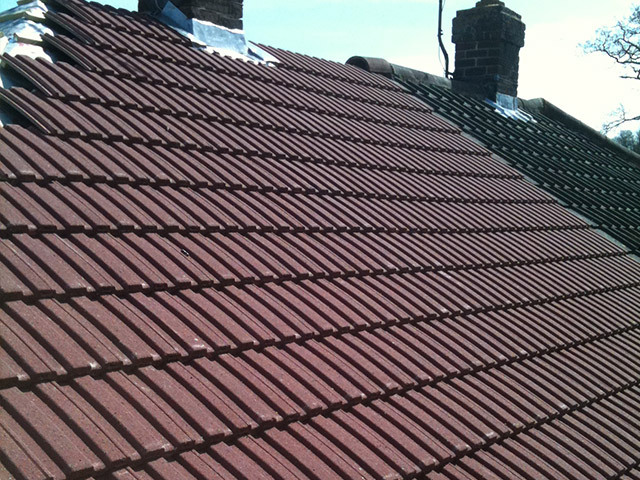 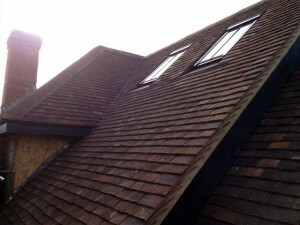 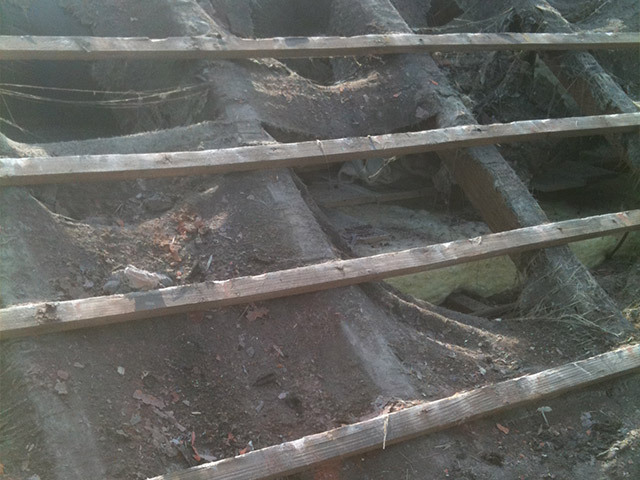 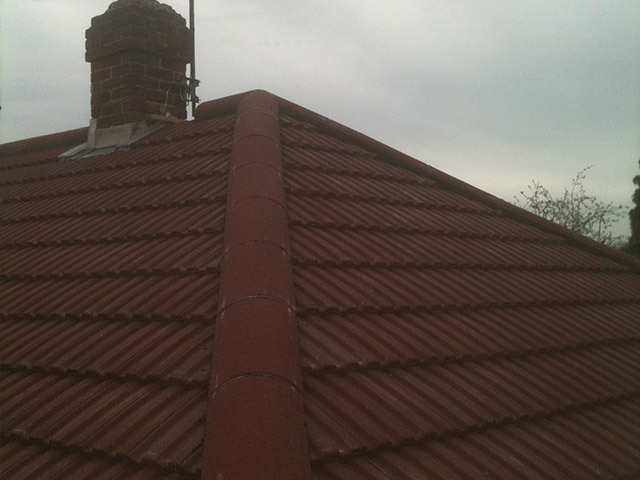 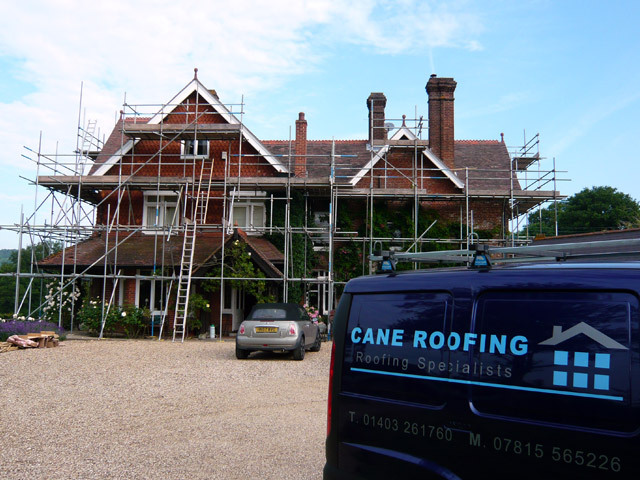 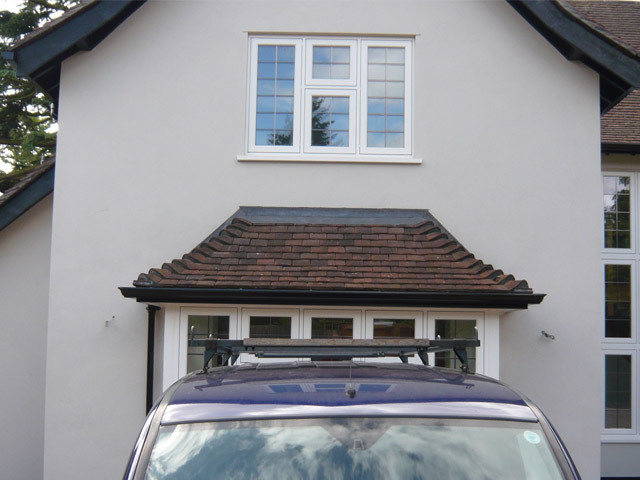 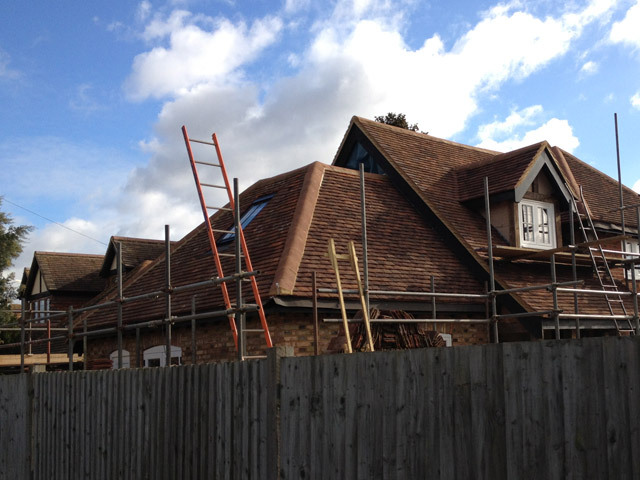 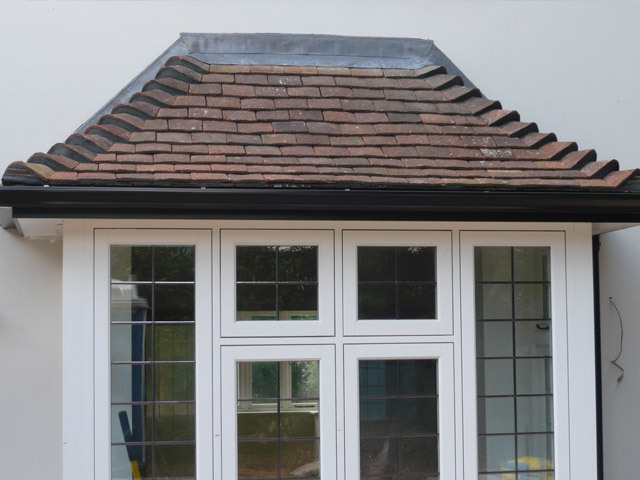 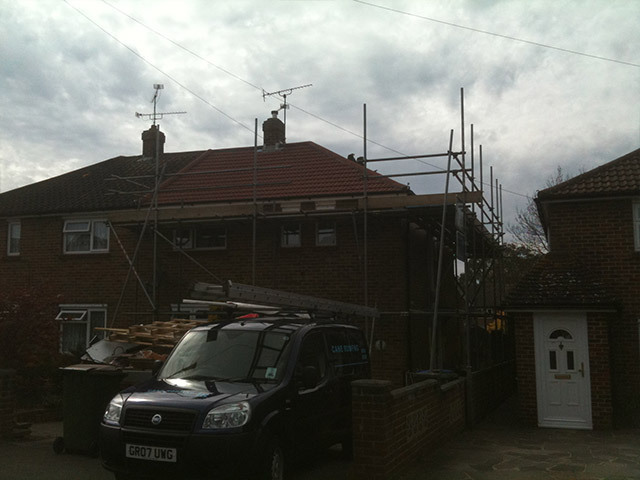 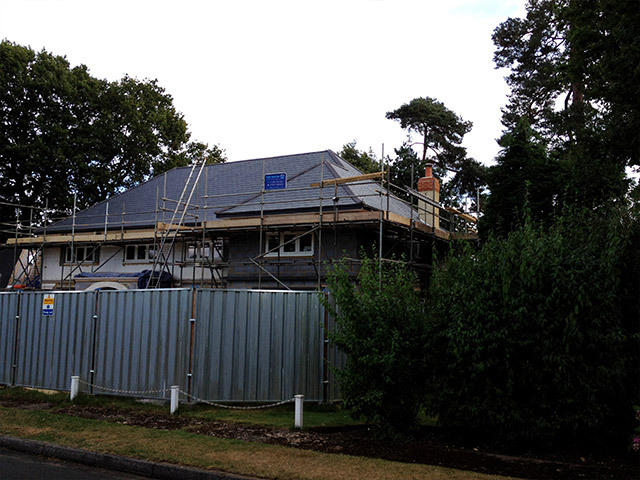 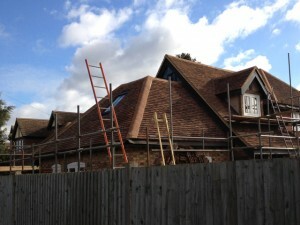 Here we have examples of roofs where the battens had failed, but the tiles were sound. 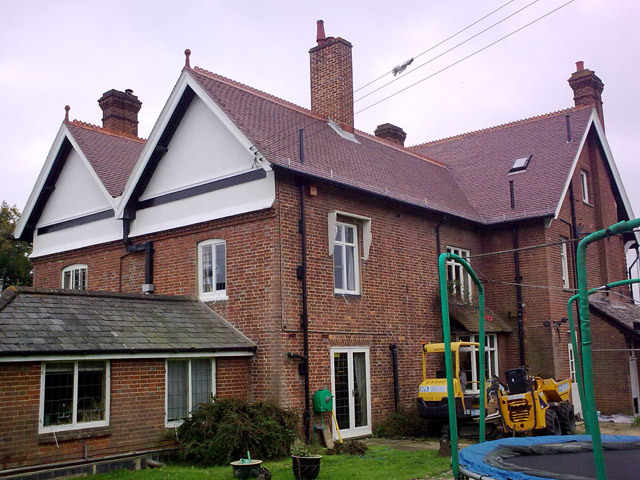 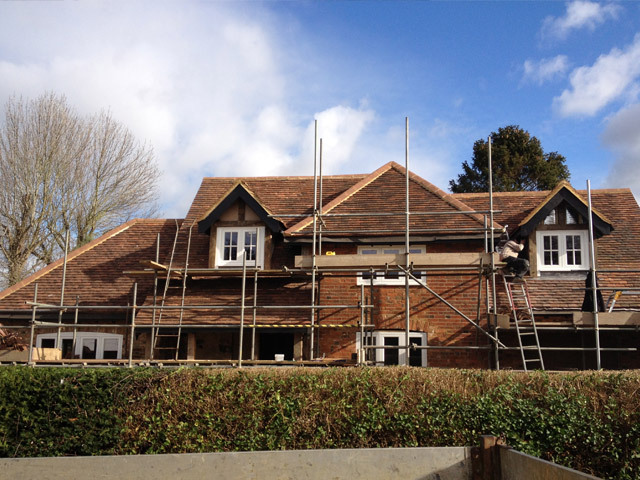 We salvaged as many as possible to re-tile the front and side elevations and used new tiles to make up the damaged on the rear. 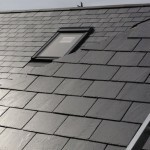 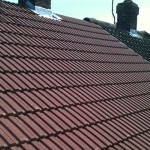 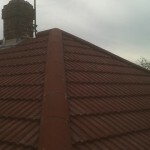 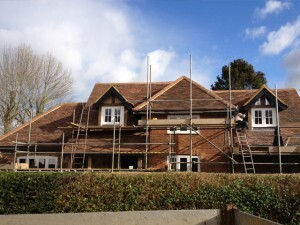 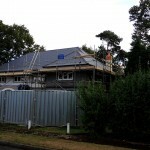 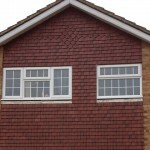 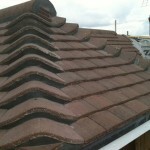 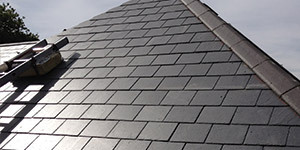 As long as the tiles are 100% sound they can safely be reused which in turn allows for a huge saving in renewal costs.